Size matters, but bigger isn’t always necessarily better, especially when it comes to the size of your apartment! Despite the common complaint of not having enough storage space, which can be easily overcome in a variety of ways like utilizing on-demand storage, living in a small apartment has a tremendous number of perks. Although the size of a smaller apartment does not outweigh that of a larger apartment, the advantages sure do! 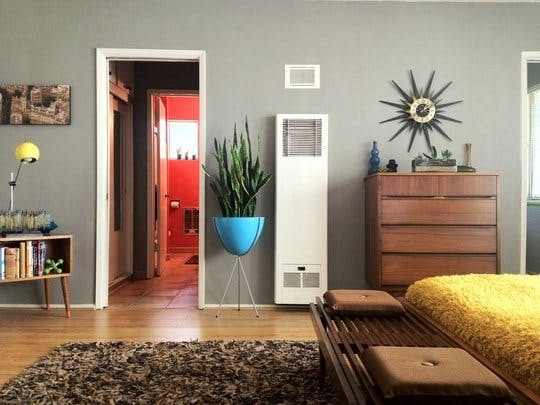 From spending less on rent to becoming more eco-friendly, here are the 10 benefits of living in a compact space! Living in a small apartment will save you more because the rent tends to be less expensive. You also pay less in utility bills since smaller spaces require less energy to heat up or cool down. Speaking of energy use, utilizing less electricity in a small apartment meant cutting down on your carbon footprint! Living in a modest dwelling where there is less room for stuff helps you to become a critical shopper. Instead of giving in to impulse buys, you’ll think through your purchases more thoroughly. You are able to prioritize your needs instead of your wants. Who wants to spend more time cleaning? *cricket sounds* Nobody! With less space to maintain and clean, you’ll have more time to do the things that you enjoy, plus other important things that you need to get done. With less stuff to clean and maintain, you’ll free up more time that you can spend doing things that make you happy. When you’re not dealing with the unnecessary, you can finally read the book you’ve always wanted to finish. You can take a relaxing walk or eat out with your loved ones at that new restaurant up the block! 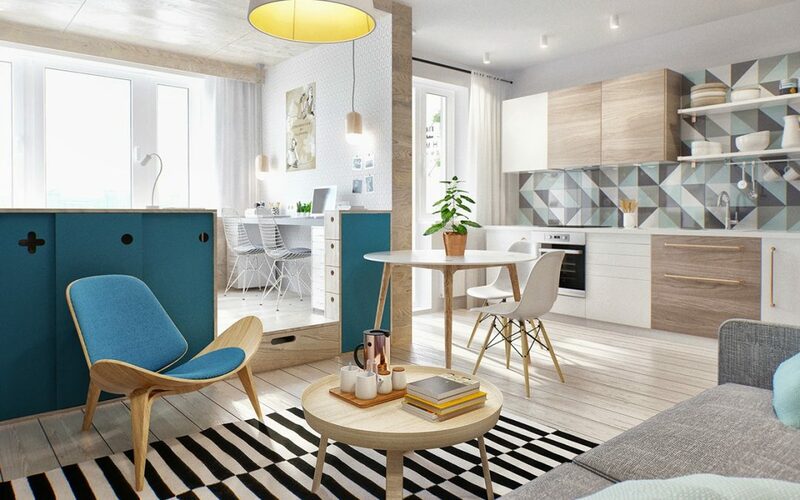 A small apartment doesn’t require much investment. Living in a big place means spending a lot of money and effort filling the space with different types of furniture and decor pieces. With a smaller space though, there’s not nearly as much room to furnish and a little decor goes a long way. Less space equals fewer things to think about! Just think of how easier it is to move your belongings the next time you need to relocate! You spend less time packing your things and more time planning the move. Storage space within a smaller space is undeniably less than it would be in a larger place, but that isn’t necessarily a bad thing. The shortage of storage allows you to become more creative with your storage choices and more particular about the types of furniture, shelving and organizational systems that you bring to your place. When you aren’t living in a larger space, it becomes abundantly clear when your space is starting to feel a bit cluttered. That immediate recognition will make you a much better declutterer and better at identifying a clutter problem before it gets out of hand. Yes, living in a small apartment alleviates stress too. When there is less physical stuff holding you down, you become less anxious. The reduced utility bills and minimized clutter that come with living in a small space ease frazzled nerves. Go revel in your newfound decreased stress levels!